Start married life off together in paradise on a relaxing honeymoon in Antigua, with 365 beaches to choose from a secluded spot in the sunshine awaits. 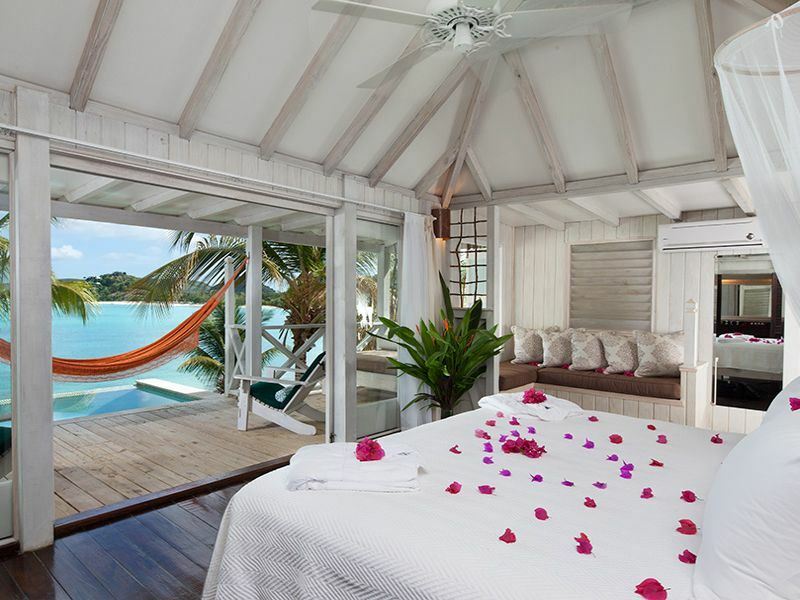 Choosing where to stay is definitely not a chore; Cocobay Resort overlooking Ffryes Bay on the west coast is a secluded hideaway, ideal for a honeymoon. Individual cottages provide the setting for a romantic retreat for two. Choose a Premium Waterfront Suite, with a private outdoor bathtub and plunge pool overlooking the turquoise waters of the Caribbean. Relax on the beach, go sailing or visit the Wellness Cottage for a massage or beauty treatment. Rafters Restaurant serves local cuisine with sea views and Sheer Rocks has day beds, a plunge pool and tapas for a tasty lunch with a difference. Galley Bay Resort & Spa, set on a pristine beach and surrounded by tropical gardens, a lagoon and bird sanctuary is in an idyllic setting for an unforgettable escape. 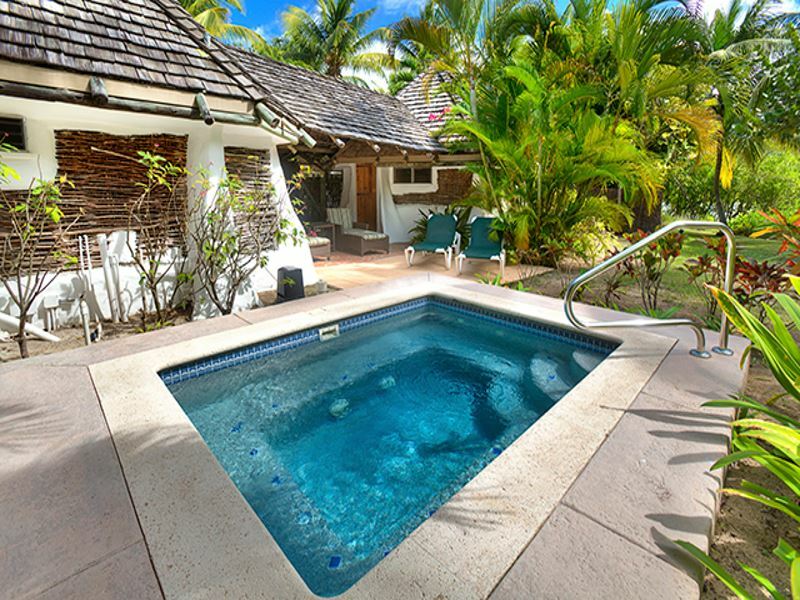 Intimate and relaxed, rooms are nestled amongst the tropical gardens. Step straight onto the sand in a premium beachfront suite and cool off with your own outdoor shower or hideaway in a cottage with a thatched roof and private plunge pool. Take full advantage of the resorts prime beachfront setting and relax under a palm tree or snorkel in the crystal clear waters. Watch the sunset with a cocktail at TeePee Bar and indulge in culinary delights until your hearts content with a choice of restaurants ranging from the relaxed Barefoot Grill to Ismay’s with its smart dress code and romantic setting. Blue Waters certainly lives up to its name, surrounded by not one but two stunning beaches it ticks all the boxes when it comes to choosing your very own island paradise. A short distance from the airport and close to the capital St John’s it is private but also accessible. Chic and stylish rooms have ocean or garden views and feature Elemis toiletries. The Elemis Spa is the perfect place to unwind with a relaxing treatment and a dip in the infinity pool. A gym, tennis courts, a choice of seven pools and a selection of bars and restaurants will make relaxing here very easy to do. Hermitage Bay Hotel is the ultimate beach retreat; hillside pool, garden and beachfront suites are built into the lush hillside to maximise on the breathtaking views. 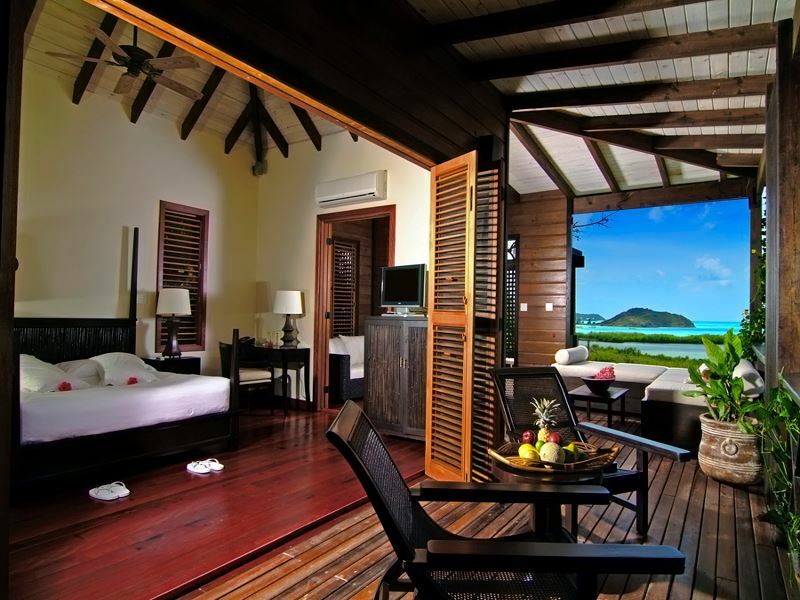 This boutique hotel is hidden in a secluded bay and exudes elegance and sophistication. Enjoy a cocktail on the decked lounge area by the pool overlooking the sparkling waters of the Caribbean, paddle board, windsurf or simply sunbathe. 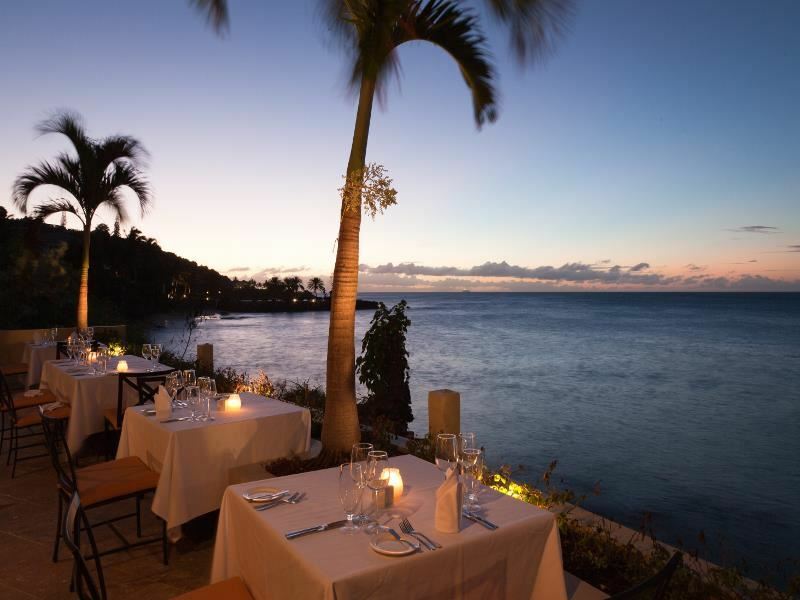 If food is your thing you will love Hermitage Bay, with menus hanging daily, produce sourced from local suppliers and from the hotel’s own organic kitchen garden and a restaurant over looking the beach with live calypso music creates a chilled out Caribbean vibe. For a really special honeymoon experience Hermitage Bay can provide you with a private, romantic meal for two on the beach. 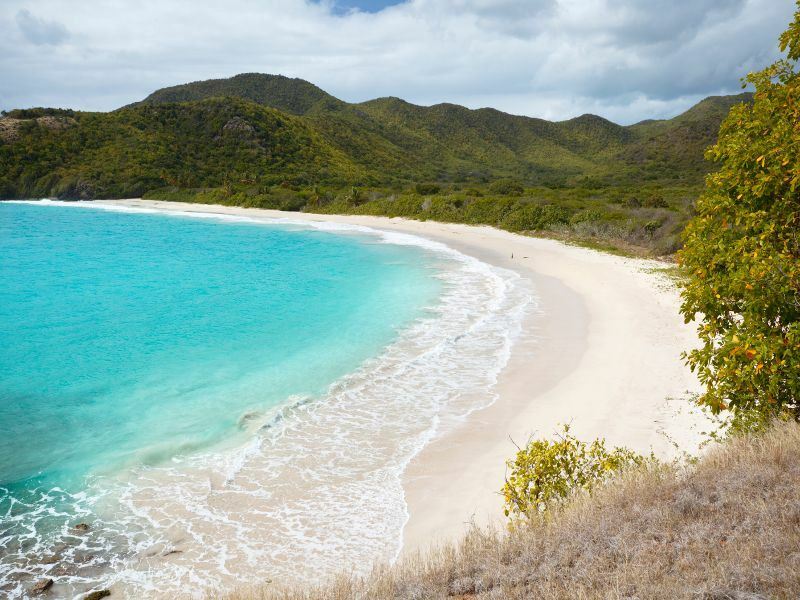 There are an abundance of activities and ways to experience everything that Antigua has to offer. With so many beaches it would be a crime not to relax on at least one of them. Valley Church Beach has miles of white sand and picture perfect azure blue waters; visit The Nest for beach food and a beer. Pigeon Beach is small and secluded, has gorgeous views of the surrounding tropical hillside and Bumpkins for food. For a bit more action head to Dickenson Bay, little beach bars line the shoreline and there’s plenty of watersports to keep you occupied. Half Moon Bay is crescent shaped and sheltered, excellent for catching those rays and also a fantastic place for snorkelling. Hire a car to do your own exploring; Fig Tree Drive is a beautifully scenic drive, meander past villages, rainforest and plantations full of coconuts, pineapples and all sorts of exotic fruits. Stop at the capital St John’s for a look around the markets and shopping, take it all in while wandering around the bustling streets full of rum bars and colourful buildings. Devil’s Bridge, a naturally formed bridge carved out of the limestone rock is a dramatic spot on the coastline, geysers and blowholes are also dotted around and fun for photo opportunities. Betty’s Hope plantation is worth visiting to take in some of the island’s culture, being one of Antigua’s earliest sugar plantations the impressive stone mills are steeped in history. Just outside of St John’s is the well-known Papa Zouk; this tiny rum shop has a big reputation. Stop here to see and sample the huge collection of rum and very tasty fish dishes. Adorned with fairy lights it has a cosy atmosphere, perfect for a romantic evening for two. Shirley Heights on a Sunday evening is a must do when in Antigua, go up to the lookout from 4pm for a barbeque and music. There are spectacular views of English and Falmouth harbour and as long it is a clear evening breathtaking sunsets. After sunset stay and enjoy the Caribbean rhythms and party until 10pm. For even more romance enjoy a sunset boat cruise, sail along the coast, swim off the boat and sip champagne as the sun goes down. 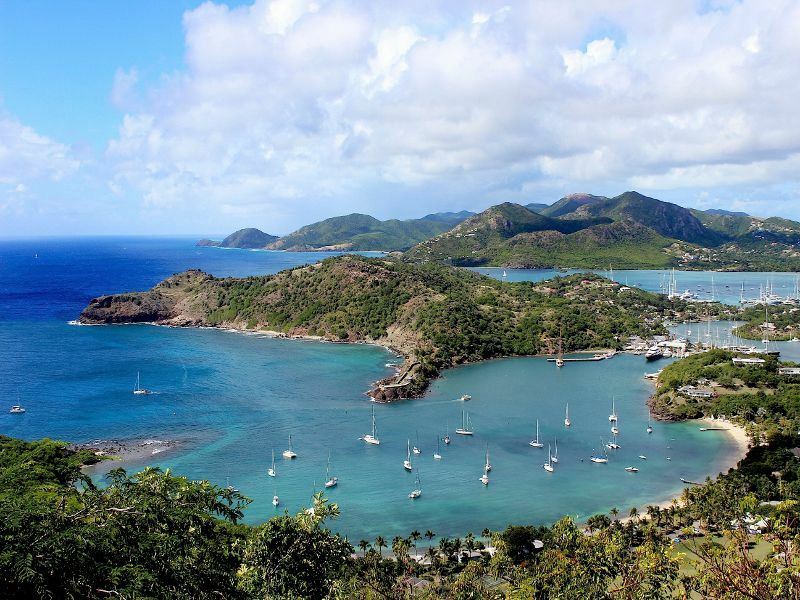 Alternatively many of the day trips include a lobster lunch and rum punch along with plenty of time for snorkelling and stops at secluded coves. 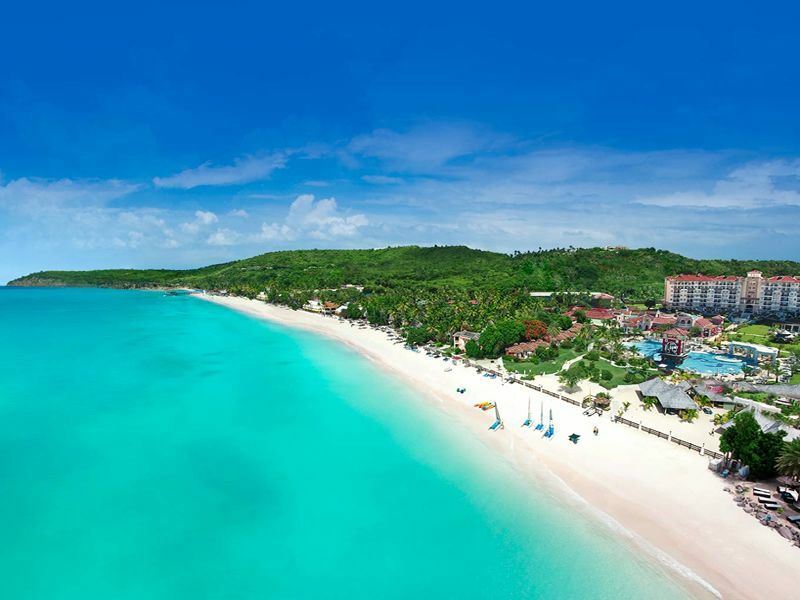 Strolling hand in hand along a palm lined shore, sipping champagne while the sunsets over the ocean on a balmy evening or exploring the island’s tropical interior together, wherever you choose to stay and what ever you choose to do while in Antigua it will most certainly be a blissful start to married life.